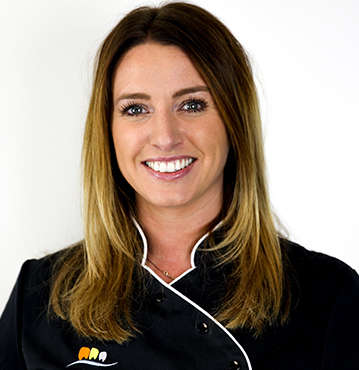 Joanne is passionate about creating a friendly welcoming dental practice which embodies a commitment to professional excellence she is also very passionate about creating beautiful smiles and specialises in smile transformations. In particular, she wants to ensure that all patients receive the most comprehensive and advanced dental care that suits their needs whilst making their experience a gentle and relaxed one. She enjoys the social interaction with patients and her friendly and caring manner instantly makes patients feel at ease. She is always willing to take the time to discuss treatment options and any concerns patients may have. 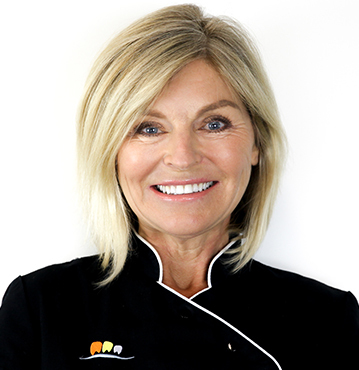 Since Joanne began practising dentistry, she has actively pursued her many interests in continuing dentistry as well as keeping up to date with new products and technology. When Joanne is not caring for her patients, Joanne loves spending time with her family and enjoys life on the Northern Beaches keeping fit, boating or just relaxing. Dr Joanne Evans graduated from the University of Newcastle Upon Tyne in the UK with a bachelor of Dental Surgery in 1986. After owning a successful practice for many years she later moved with her family to the Northern Beaches in 2006. She took over Warriewood Dental Practice which was part of the Medical Centre (Established since 1989) and later together moved to Mona Vale in 2010. 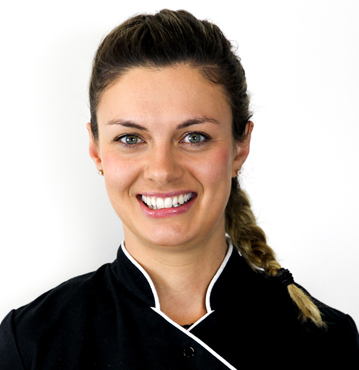 After moving to Australia in 2006 Amanda worked in the dental hospital and as a civilian dentist for the Navy. She has been at Gateway since 2009 and currently works part time as she has 2 young sons. Amanda has experience in and enjoys all areas of general dentistry and takes pride in the quality of care she provides to her patients. She is committed to providing the best treatment choice appropriate to each individual. She enjoys keeping up to date and actively participates in continuing education. Amanda provides adult orthodontics, and is accredited for Cfast and Clear Correct. 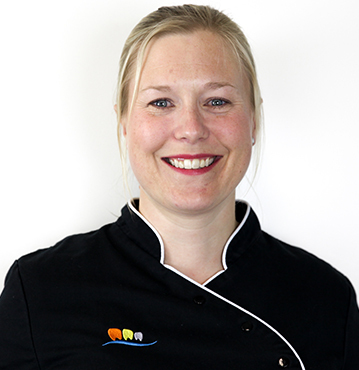 Dr Amanda Sullivan graduated from the University of Bristol in the UK in 2003. In 2006 after working and completing further training in general practice and in the hospital ( in oral surgery, paediatric dentistry and restorative dentistry), she gained her membership to the Faculty of Dental Surgeons of the Royal College of Surgeons of England (MFDS). Jayne has gained a lot of experience working in different practices in the UK and Australia and is happy and confident in treating a wide range of treatment needs in people of all ages. Her particular interests include endodontics (root canal therapy) and preventive dentistry. She regularly attends courses to keep up to date and learn new techniques. Jayne has always lived on the Northern Beaches since moving to Australia. In her spare time, she plays soccer for North Sydney FC and is a member of Dee Why Surf Club, having recently achieved her bronze medallion. 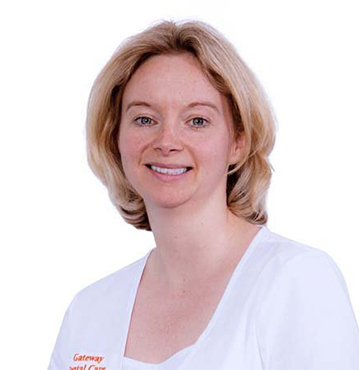 Dr Jayne Temple gained her Bachelor of Dental surgery qualification from the University of Newcastle Upon Tyne in the UK in 2000. She then worked in practice in the UK for 5 years before making the move to Australia in 2005. Throughout the years Jane has developed a great interest in aesthetic dentistry, orthodontics, implants and periodontics. She has undergone extensive training and completed many courses in these areas in order to provide her patients with the best quality dentistry. She personalises every patient’s needs as well as wants for healthy and beautiful teeth every time. Jane also has a passion for voluntary dental aid and has travelled to Nepal and Papa New Guinea to help those in need. Jane’s warm and gentle care will provide you with a pleasant and relaxed dental experience along with excellent dentistry. 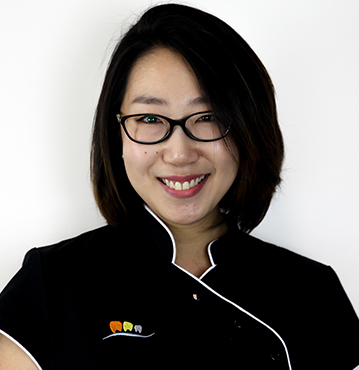 Dr Jane Na graduated from University of Melbourne in 2007. Since then, she has been working as a general dentist in private practices, thoroughly enjoying all aspects of dentistry and treating patients of all ages. Dr Nika Hrastovsek started her studies at the Medical faculty in Ljubljana, Slovenia. During the third year she selected Dentistry as the profession she wanted to focus on. She graduated in Dentistry in 2009 on top of her class as Doctor of Dental Medicine (DDM). She completed a year of internship before she was offered a job as a Teaching Assistant in Paediatric and Preventive Dentistry at the University of Ljubljana. During that time she tutored dental students in their fourth and fifth year and supervised their clinical work. Elizabeth enjoys all aspects of being a general dentist and is passionate about providing the best possible and most appropriate care for her patients. She has also taken an interest in Dento-Facial Aesthetics, having completed training with the Australasian Academy of Dento-Facial Aesthetics in facial injectables and dermal fillers – beautiful smiles don’t have to stop at beautiful teeth! Elizabeth gained her membership of the Faculty of Dental Surgeons at the Royal College of Surgeons of Edinburgh. She believes in the importance of continued professional development and strives to keep up to date with current best practice and evidence based procedures. Dr Elizabeth Blackstock graduated from University of Leeds, UK, with a Bachelor of Dental Surgery degree. Following graduation and some time in general dental practice, Elizabeth spent a year with the Maxillofacial Surgical department in Liverpool, UK, gaining valuable head and neck surgical experience; part of which being in a Paediatric setting. Kealey embraces the best in contemporary dentistry and is passionate about patient care. Her friendly approachable manner makes her a wonderful choice for all patients, especially those who may be anxious, as well as making visiting the dentist a more fun experience for young patients and their entire family. Kealey is also a highly skilled facial cosmetic injector with over 10 years of experience accredited by the UK Dental Board, including over 5 years with the prestigious Harley Medical Group. Kealey prides herself in having a keen, honest and sympathetic approach to assessing, recommending and administering an extended range of treatments, including line reduction, fillers, Massotherapy and Derma roller. Outside of work Kealey spends her time outdoors, at Pilates, dancing, or volunteering in animal care. 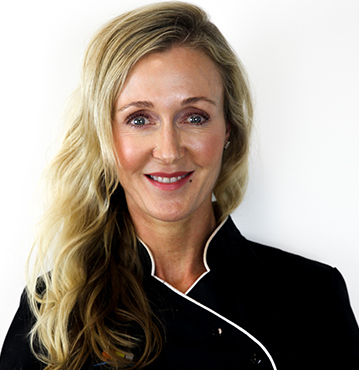 Dr Kealey Thomas graduated from the University of Newcastle in the UK with a Bachelor in Dental Surgery in 1993. Kealey is a highly experienced General Dental Practitioner with over 21 years of experience in providing leading edge dental care across a broad range of dental procedures, including cosmetic dentistry, for all age ranges. After running her own dental practice in the UK for over a decade, Kealey decided to spend a year travelling the world where she fell in love with Australia and decided to move permanently to Sydney. 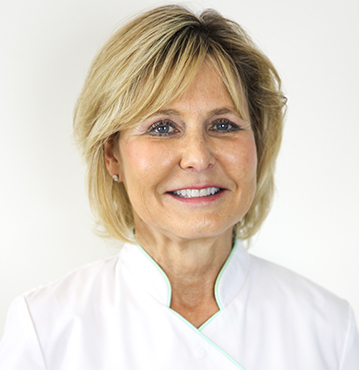 Mary completed her hygiene studies in the USA and brings extensive international experience from her years of work in general, cosmetic and orthodontic practices in America and Switzerland. Mary was a founding member and past President of the NSW Dental Hygiene Association of Australia. She also served 2 years as National Councilor for the State of NSW. Mary’s excellent skills, gentle touch and calm chair side manner have been appreciated by even the most nervous of patients.